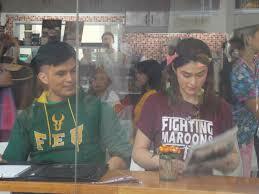 No Boyfriend Since Birth (NBSB) is a 2015 Filipino romantic-comedy film directed by Jose Javier Reyes starring Carla Abellana and Tom Rodriguez. The film was released on November 11, 2015. This film served as the comeback of TomCar love team after their 2014 romantic film So It's You from Regal Films and their 2014 television series My Destiny from GMA Network.